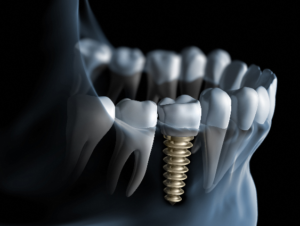 Life Is Good After Dental Implants in Millburn! Unfortunately, there are a lot of reasons that people lose their teeth, including gum disease, injuries, poor hygiene, and genetics. The good news is that we have great treatments to restore anyone’s smile – but there’s a catch! Not all replacement options are created equal. That’s why it’s important to make sure you’ve researched your choices before making a decision. 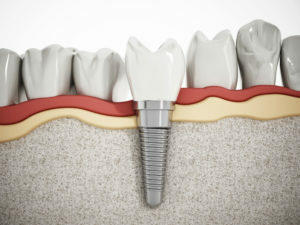 We’ll get you started in this blog by reviewing the benefits of one the best options for tooth replacement – dental implants in Millburn. 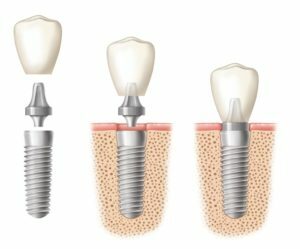 You’ll also learn about the success rate of implants and how they can impact your life for the better! Comments Off on Life Is Good After Dental Implants in Millburn! One of your favorite activities is to load up the car and head out to MetLife Stadium to catch a Giants football game. As the cold fall winds blow, you love to sip on hot chocolate as you cheer for your boys in blue, but the last time you were in attendance you noticed that the hot liquid and brisk air both left you with uncomfortable sensations in your teeth. You felt a little perplexed and would like to know what caused this to happen, which is why your dentist in Milburn will weigh in with information on 5 culprits of tooth sensitivity. It’s a common routine of yours to sit down with friends to watch a Brooklyn Nets basketball game, while you enjoy a few snacks and beverages. But on this particular night, there’s a huge, painful roadblock in the way – an abscessed tooth. This pain has been gradually building for some time now, but you’ve ignored it and the infected tooth is standing up and demanding your attention. Thankfully, your family dentist in Milburn has some information about what causes this issue and how you can get some relief. Continue reading to learn more about this condition and then contact your local dentist to have your healthy state restored. As the end of the year draws closer, we all have too many things on our to do lists, but if you have money left over in your flexible spending account (FSA), now is the time to take advantage of these benefits. At the end of the plan year, you will likely lose the money in this account, so consider some of the services you may be able to receive before the end of 2017. One thing many patients consider is using up their FSA funds on advanced dentistry services. If you’ve been waiting on dental care, call your trusted dentist to find out more and schedule a consultation before the end of the year. Your Dentist Answers, Are You at Risk for Oral Cancer? It was estimated that nearly 10,000 people would die of oral cancer in 2017, and nearly 50,000 people would suffer from this frightening and devastating disease. It isn’t nearly as common as breast cancer, prostate cancer, or lung cancer, but that doesn’t mean you should ignore the risk. Your life could depend on getting screened! Still, you might hesitate to go to your dentist in Millburn for a screening because you don’t think this cancer could affect you. What exactly are the risk factors for this disease? Comments Off on Your Dentist Answers, Are You at Risk for Oral Cancer? 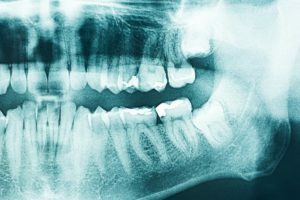 Why Does My Dentist in Millburn Take X-Rays? You may have heard some bad things about dental x-rays, but they’re actually a very good thing! They’re a safe, quick, and effective way for your dentist in Millburn to get a comprehensive view of your oral health. 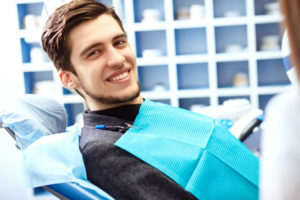 You might wonder, though, what exactly do dentists look for in x-rays, and why might you need an x-ray even if you aren’t having any obvious problems with your oral health? Comments Off on Why Does My Dentist in Millburn Take X-Rays? 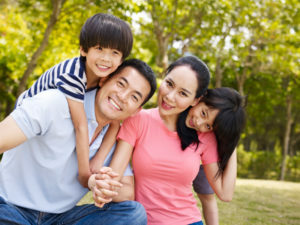 “I need an excellent family dentist near me, how can I find one?” Finding great health care providers can be challenging, especially when you’re thinking of your family. It’s much more convenient for you when the entire family can see the same provider. There are many things you can do to find the right dentist such as reading online reviews, asking friends for referrals, and touring prospective offices. If you’re looking for a family dentist in Milburn however, why not consider Dr. Robert Shick and his team at Dental Charm? Here are some of the services you can expect when you choose us for your dental care.